Crock Meter is used to determine the discolored extent for the dyed textile or dyed leather by abrasion method. 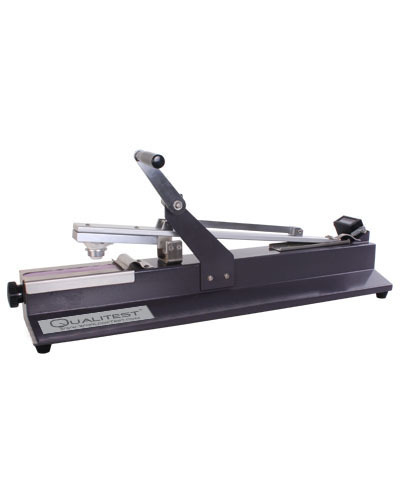 At first, coat abrasive hammer with dry or wet white cotton cloth then drive it to repeatedly abrade the specimen clamped on testing table for ten times within 10 seconds to examine grade of color-dyeing firmness. The Crock Meter - Manual Crock Meter is used to determine the discolored extent for the dyed textile or dyed leather by abrasion method. 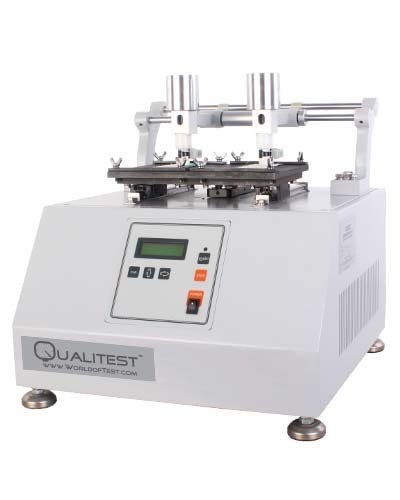 At first, coat abrasive hammer with dry or wet white cotton cloth then drive it to repeatedly abrade the specimen clamped on testing table for ten times within 10 seconds to examine grade of color-dyeing firmness.